In large bowl, gently mix all ingredients except tortillas and lettuce. Cover; refrigerate up to 3 days. To make 1 wrap, in small microwavable bowl, microwave generous 1/3 cup chicken mixture, loosely covered, on High 30 to 45 seconds or until hot. 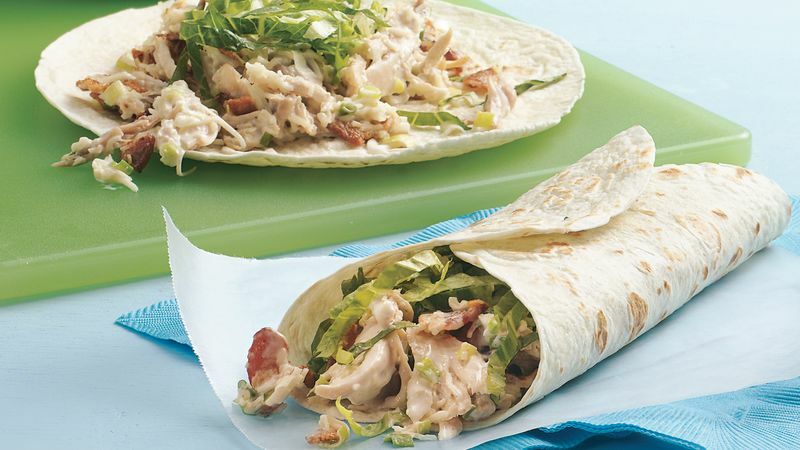 Spread chicken mixture on tortilla and top with 1/2 cup shredded lettuce; roll up.